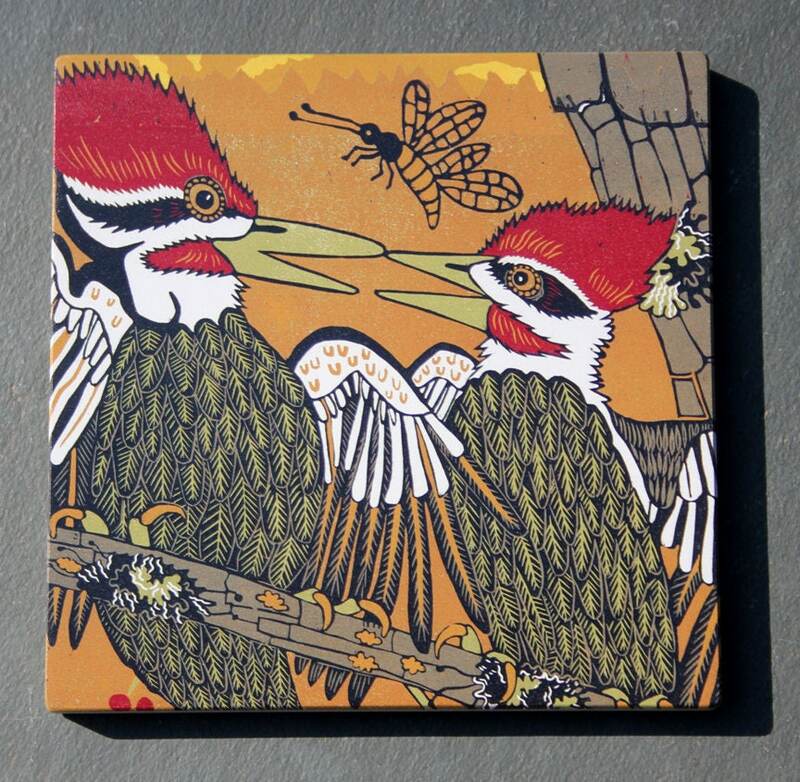 A pileated woodpecker pair ready to flutter onto your walls. At my home in upstate, NY we have a pair that comes every year to raise their young in our plethora of dead trees. 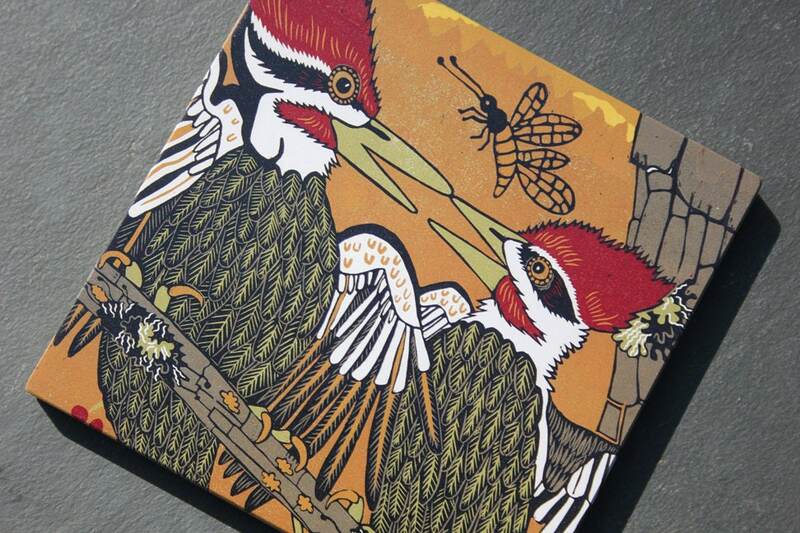 They are one of my favorite birds.